In South Africa wine making started with the arrival of Jan van Riebeeck way back in 1652. His task was to establish a refreshment station for ships passing the Cape. In those days ships took about three months to sail to the Cape from Holland and as there was nowhere to get fresh water and supplies en route many of the sailors on board developed scurvy and died. Van Riebeeck who was a medical doctor knew that wine would help in the prevention of scurvy. With this in mind he planted the first grapes in the Company gardens in Cape Town South Africa. It took a while for the vines to produce grapes and when they did the first wines were rough and ready. When Van Riebeeck left the Cape in 1662 he left a growing wine industry but unfortunately the wines were not of a high standard. Simon van der Stel was sent to the Cape as governor in 1679 and after doing a full inventory of projects being undertaken in the Cape also did a tour of the Peninsula and outlying areas of the Cape towards the Hottentots Holland mountains. On this tour he discovered the Stellenbosch, Franschhoek, Drakenstein area which he identified as areas good for agriculture. Part of his investigations also revealed that the wines of the Cape were not as good as they could be and so he made it one of his tasks to improve the industry. 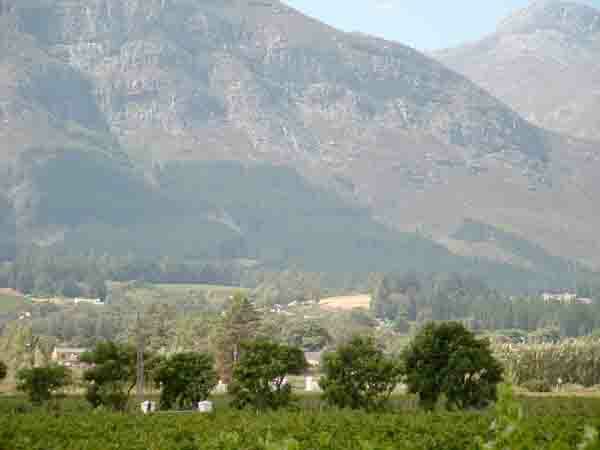 For all his hard work in the Cape he was granted a farm close to the mountains in what is today called the Constantia valley. To prove to the wine industry that good wines could be made in the Cape he set up a model wine farm. Soon his wines were being exported abroad and graced the tables of royalty and gentry throughout Europe. One of his most well known clients was Napoleon Bonaparte who asked for a glass of Constantia wine on his deathbed. Improving the wine industry was a task that could not be done by one man so van der Stel started looking around for people who could come to South Africa to assist in improving standards. He got lucky when the French revoked the Edict of Nantes, an act which set off the persecution of the French Huguenots for their religious beliefs. The Huguenots were skilled farmers and winemakers and were part of the upper class in France at the time. Persecution became so bad that the Huguenots were forced to leave France and this gave van der Stel the opportunity he was looking for. He negotiated with 200 of them to come to South Africa and promised them farms and implements if they came. As they were refugees and had nowhere to go they agreed to come and when they arrived he settled them in the Stellenbosch, Franschhoek and Paarl areas. 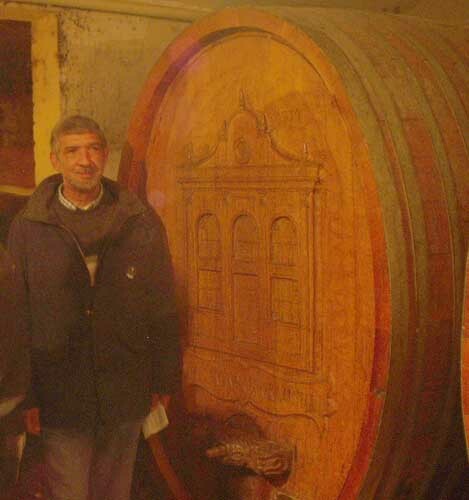 The Huguenots soon got themselves organised on their farms and soon were producing some excellent wines. Over the years the fledgeling wine industry started by van Riebeeck has grown substantially. Today there are 19 different wine routes throughout the Western Cape with hundreds of wine farms and estates included in them. Of interest is the fact that South Africa has in excess of a 100 different cultivars of grapes on the various farms. However not all of them are used in making wine. The most important cultivars used for white wines are Riesling, Chenin Blanc, Chardonnay, Weisser Riesling, Sauvignon Blanc and Colombard. For red wines the following are the main cultivars: Cabernet Sauvignon, Pinotage, Shiraz, Tinta Barocca, Merlot, Pinot Noir and Cinsaut. Cape Town has recently been nominated as the fifth most popular destination for world travellers and much of this acclaim has been brought about by the wine routes and the services they offer visitors to the Cape. When planning your next trip to Cape Town include some of the wine tasting tours in your itinerary as not only will you get to taste some of South Africa's excellent wines but will visit some of the most historic and picturesque places Cape Town has to offer.